Frances Brody comes from a great family of story tellers, though she's the first in the family to write professionally. "On the screen of my imagination," she says, "I can conjure aunts and uncles from years gone by, and the word pictures they painted of people from earlier generations." 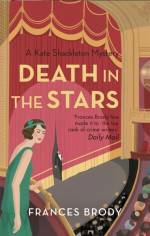 She is the author of ten Kate Shackleton mysteries, with the publication of A Snapshot of Murder . We are in Yorkshire, in 1928. 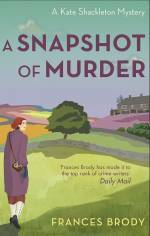 Indomitable sleuth Kate Shackleton is taking a well-deserved break from her detective work - and indulging in her other passion: photography. When her local Photographic Society proposes an outing, Kate jumps at the chance to visit Haworth and Stanbury, in the heart of Brontë country, the setting for Wuthering Heights . But when an obnoxious member of their party is murdered, the group is thrown into disarray. Is the murderer amongst them, or did the loud-mouthed Tobias have more enemies than they might have imagined? Yorkshire, 1921. Kate Shackleton, thirty years old, is taking tea with her friend, Doris who is on a visit from London. In the genteel environs of Harrogate's premier tea room, violence is the furthest thing from anyone's mind. 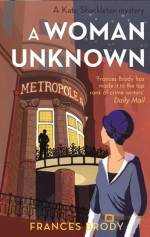 But when Doris is set upon by a mystery assailant, it's up to Kate to find out why - and in doing so, she soon develops a taste for detective-work. 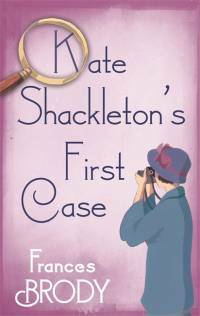 Kate Shackleton's First Case was initially published as a solo e-book, on 20th August 2018, available from the publisher, Piatkus. 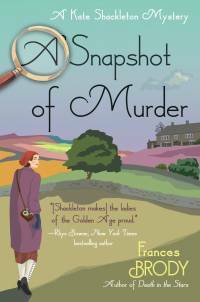 The story is included as a bomus addition in the UK edition of the tenth Kate Shackleton novel, A Snapshot of Murder . A Snapshot of Murder is now also available in the US and Canada. Read more about it here. 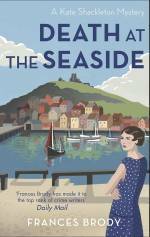 "Brody's writing is like her central character Kate Shackleton: witty, acerbic and very, very perceptive." Ann Cleeves, award-winning author of the Shetland and Vera Stanhope mysteries. "Absolutely captivating! With charm, skill, and spot-on insight, the talented Frances Brody expertly transports us to Yorkshire, 1928 - and we are thrilled to be there. You'll adore the wonderfully atmospheric dialogue and put Brody on your bookshelves with Bowen and Winspear.."
Hank Phillippi Ryan, national bestselling author of Trust Me. Before creating the Kate Shackleton mystery series, Frances wrote many stories and plays for BBC radio, scripts for television and four novels (as Frances McNeil). 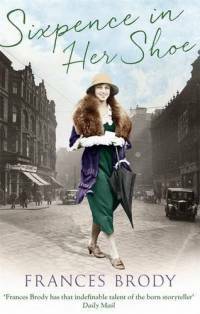 Now Sisters on Bread Street , Sixpence in Her Shoe and Halfpenny Dreams , originally published as Frances McNeil novels, are beginning a new life as Frances Brody books. Sisters on Bread Street was published in January 2016, followed in April by Sixpence in Her Shoe , with Halfpenny Dreams completing the set in July. Visit the 'Sagas' page to learn more. Frances's stage plays have been toured by several theatre companies and produced at Manchester Library Theatre, the Gate and Nottingham Playhouse, and Jehad was nominated for a Time Out Award. She lives in Leeds where she was born and grew up, and then travelled, including a spell in the USA. 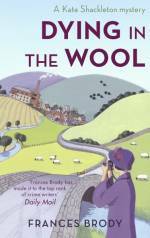 Time spent in Bradford, heart of the woollen industry, gave her a valuable insight into the background for Dying in the Wool , the first Kate Shackleton mystery. Read an interview with Frances on the 'Writers Who Kill' website. And make sure you visit Frances's blog for the latest from her in her own words! 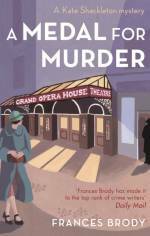 Frances has been busy launching the new Kate Shackleton mystery, A Snapshot of Murder . 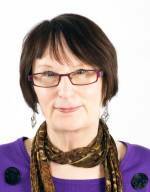 While she was in Bradford she recorded an interview with Carole Moss on Bradford Community Broadcasting's One to One programme, which is still available for you to listen to as a podcast. Frances has supplied a picture of Bradford's Wool Exchange, now Waterstones bookshop. where the launch event took place, so you can imagine being there! Now she is busy writing! But she has scheduled one spring event, for the Leeds Lit Fest: A Light Lunch at the Leeds Library, on Wednesday 6th March. Bring your sandwiches and join her there! 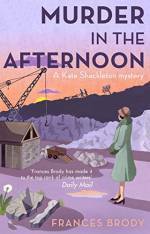 Or why not make your own event, by reading one of the Kate Shackleton mysteries at your book group? 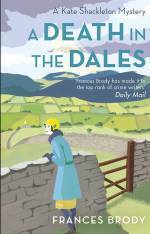 To get you started, Frances has suggested some discussion points about A Death in the Dales ! Header photograph, Ingenues arrive, Central Station, Sydney, 1928-1929, by Sam Hood from the collection of the State Library of New South Wales. Last update: 12th April 2019.